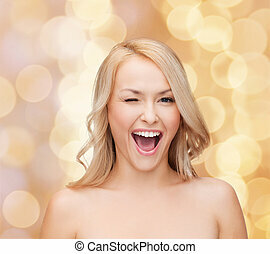 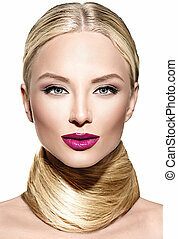 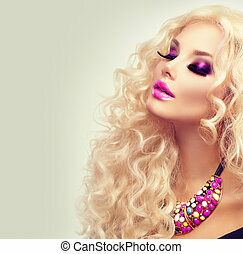 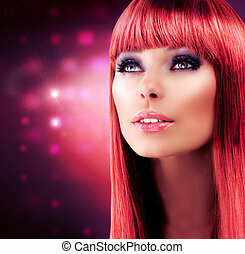 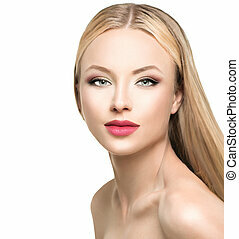 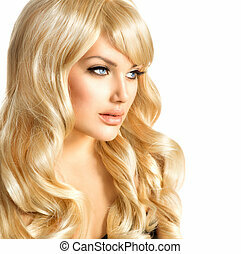 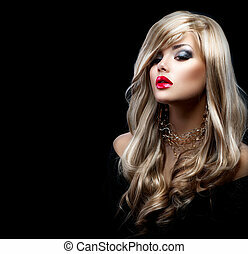 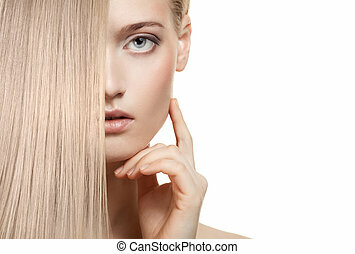 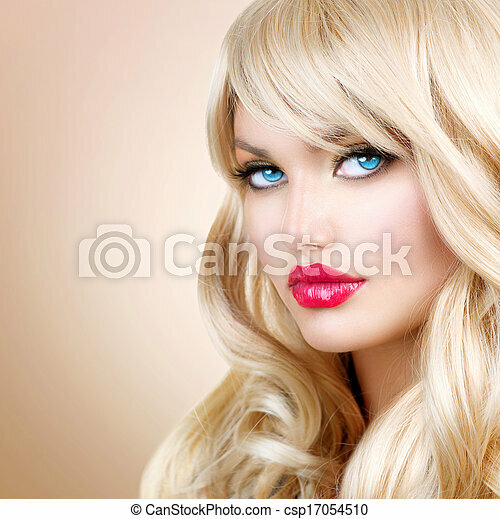 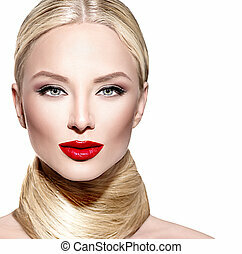 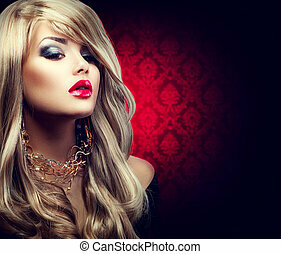 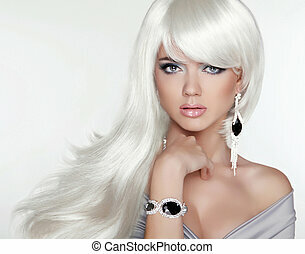 Blonde woman portrait. 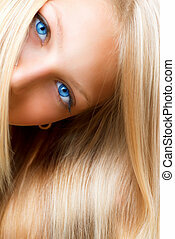 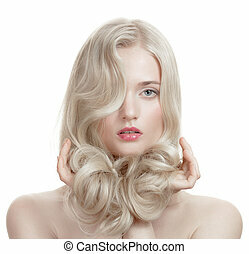 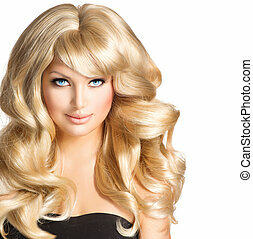 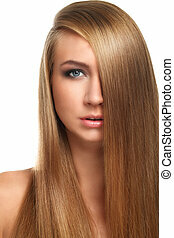 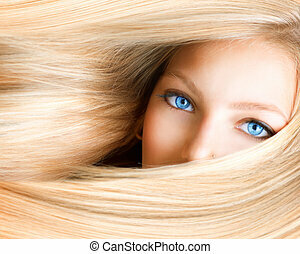 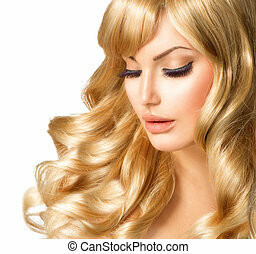 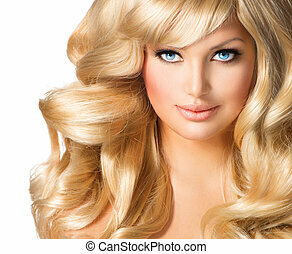 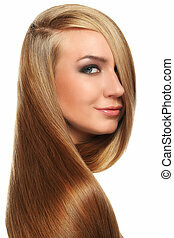 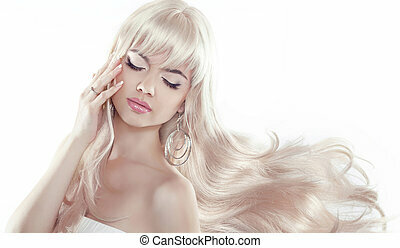 beautiful blond girl with long wavy hair. 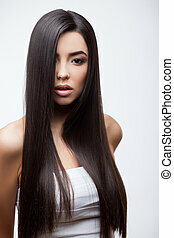 Beautiful woman with long brown hair. 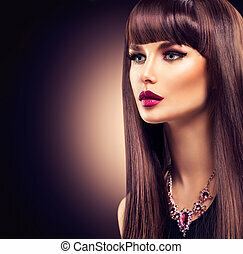 Closeup portrait of brunette girl over natural background, Outdoors Portrait. 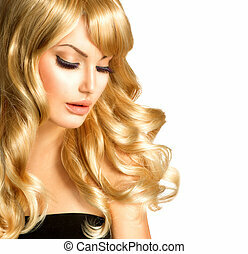 Beautiful young woman with long blond hair. 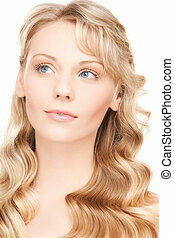 Pretty model poses at studio.